FREE delivery to United Kingdom in 6 - 13 working days. 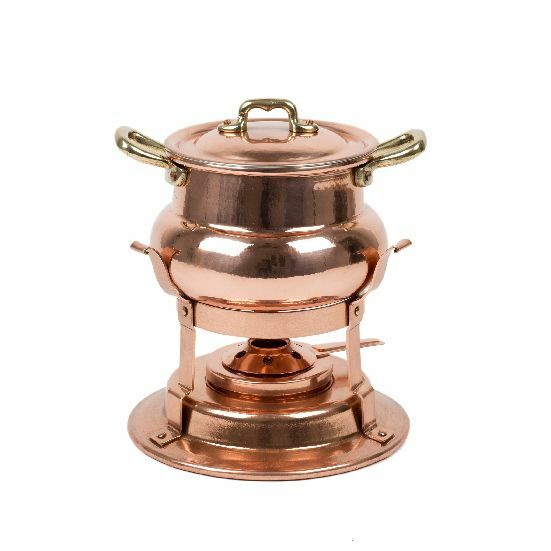 Serve up fondue in this luxurious fondue pot suitable for all varieties of cheeses or chocolate. Get really creative and simmer a meat Bourguignonne that’s ready to serve and wow your guests. The flame is fuelled by alcohol gel. Seeking out artisanal values embedded in Italian territory, Eligo brings together a collection of handcrafted objects that draw significance from their history and quality.